“After Lord Sri Krishna left this world, Maharaj Yudhishthira, unable to bear the separation from the Lord, also decided to leave the world. Before leaving, he coroneted Maharaj Parikshit as the emperor of the world, and the great grandson of Lord Sri Krishna, Vajranabh, as the king of Mathura. Vajranabh was requested by the great devotees to restore the glories of Vrindavan. So Vajranabh decided to excavate those holy places of Vraja bhumi in which Lord Sri Krishna had performed His Lila, and to install beautiful and sacred deities in principal places of Vraja Dham. He sat on the banks of Yamuna under a Kalpavriksha (desire tree) and prayed to Sri Sri Radha and Krishna. By the auspicious mercy of that Kalpavriksha tree, Radha and Krishna’s mercy entered his heart and revealed to him the holy places of Sri Krishna’s Lila. Later when he decided to install Deities, he called Vishwakarma, the architect of the demigods. The three principal Deities carved by him were Radha Madanmohana, Radha Govinda and Radha Gopinath. Mother Uttara who had seen Krishna directly was present at that time. When she saw the beautiful form of Radha Madanmohana, she explained that the Supreme Lord Sri Krishna’s feet are most perfectly revealed in this Deity. When she saw the beautiful form of Radha Govinda, she explained that the chest and the flute of the Lord are most perfectly revealed in this Deity. And when she saw the divine form of Sri Radha Gopinath, she explained that the beautiful smiling face of Sri Krishna is most perfectly revealed in this Deity. Thus, these were the most important deities of Vraja. “For a long, long time Madanmohana performed His Lila of being un-manifested in this world. When the dear and intimate associate of Sri Chaitanya Mahaprabhu, Sri Advaita Acharya, descended in this world, he traveled to many holy places. 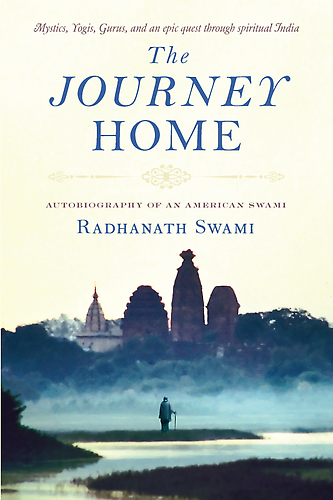 When he lived in Vrindavan, he was staying on the banks of Yamuna under a tree that is today called Advaita Vat. There Sri Madanmohana, who is also known among Gaudiya Vaishnavas as Madan Gopal, revealed Himself to Sri Advaita Acharya. Before leaving Vrindavan, Sri Advaita Acharya, with great love, entrusted the worship of Madan Gopal to one very pure hearted Brahman in Mathura of the name Purushottam Chaube. This great devotee, who was completely free from all material inclinations, worshipped Madan Gopal in the intimacy of his own child. Later Sanatana Goswami came to Vrindavan, on the order of Lord Chaitanya. He lived as a simple beggar in the forest of Vrindavan. Every day he would do Madhukari – go house to house and beg a little prasad. In Vrindavan, the staple food is roti, so he would take one roti from each house. When he would be visiting these people, he would often be invited inside to lead the kirtan and share with them the transcendental teachings of Sri Chaitanya Mahaprabhu. “The devotees understand that Srimati Radharani is the empress of the heart of Govinda, Gopinath, and Madan Mohan. Therefore, the Goswamis would worship Srimati Radharani, the supreme object of all their veneration, within the heart of the Deity. In this way, they worshiped Radha Govinda, Radha Madan Mohan and Radha Gopinath. The son of king Prataprudra in Jagannath Puri, Purushottam Jana, felt that if the common people could visually see Srimati Radharani, they would be very pleased. He very much wanted that Govinda Dev and Madanmohana be worshiped along with Srimati Radharani. Therefore, he sent two beautiful deities of Srimati Radhika to Vrindavan with many devotees. When this entourage of devotees arrived in Vrindavan with the Deities, all the Vrajavasis were most joyful. There was a grand festival to welcome them.